Though it seems the summer sun is as hot as ever at the, the cool mornings and evenings give me mixed signals. From baring to swim gear in the morning to a lined hoodie in the evenings, the temperature changes are in full effect, and can confuse the skin too. Transitioning from hot to cooler, I’m going natural to curb any irritation, and adding a boost for soft skin and rockstar hair and nails to flaunt my summer color while I can. I’m starting with the body lotion because that’s where I’m noticing the dry skin first. 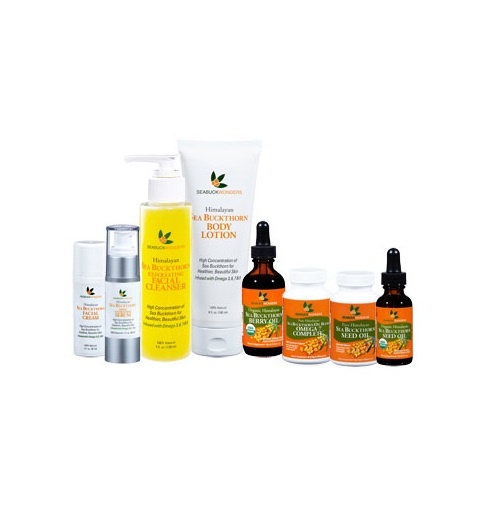 With a high concentration of sea buckthorn oil, this body lotion is amazing for anti aging and getting that silky skin. Also helps protect you from harmful UV exposure we get on a daily basis. Its amazing properties allow it to absorb quickly into the skin making it great for everyday use. Plus it has a nice fresh and light scent to fit summer just fine. Give your skin a wake-up call with the Sea Buckthorn Exfoliating Facial Cleanser. A super mild cleanser and exfoliator, this removes dirt plus the dry flaky skin, which is perfect at this time of the year. This cleanser is ideal for all skin types and helps with your skin pH balance while hydrating. The natural scent of essential orange oil is the bonus prize to say AAAAH. This light moisturizer keeps your skin in check. No frills here, but no irritation either. The Sea Buckthorn Facial Creamfacial cream A perfect way to moisturize while the temperature is changing between hot + cold. The sea buckthorn oil with all its amazing properties is infused in facial cream which will help keep that skin glowing. Plus, it contains Omega 3,6,7, 8, and 9 – which sounds like a few good numbers for the skin! The stereotype that beauty comes from within is true! Seabuck Wonders has created the “Ultimate Hair, Skin, and Nails” product to achieve just that. It is the only hair, skin and nails product that has a sufficient amount of Omega 7. 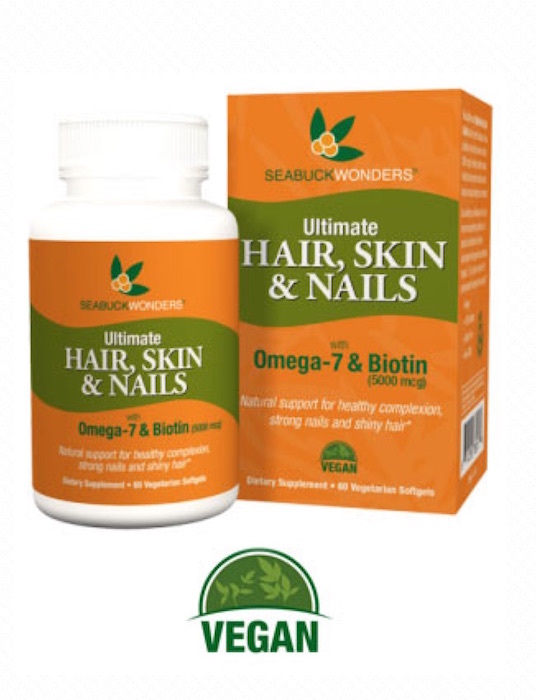 Biotin is always the go to ingredient in many similar products but Seabuck Wonders have figured out that Biotin plus the Sea buckthorn oil is the perfect mix. With its 50 mg of Biotin and 35% of Omega 7 and Omega 3,6,9 per serving you are going to get a boost for better hair, skin, and nails – naturally. This little bonus is for the pain! Though this one contains Moringa – not Sea Buckthorn, It’s my favorite go-to now for aches associated with normal everyday habits. From crossing my legs too much while working, shoulder pain from carrying a heavy bag, after the workout, or just general pain from the changing weather. FitGrit Rx is a natural and ORGANIC muscle recovery, pain relief and anti-inflammatory cream that is effective in relieving my pain! Contains MORINGA TREE LEAF which has strong anti-flammatory benefits – and as I’m thrilled this is all natural and it works. PRE-FALL skincare naturally commentary by Brigitte Segura, written by Ashlyn Concepcion.